Founded by Sigmund Freud in 1910, the IPA mission is to ensure the continued vigour and development of the science of psychoanalysis. "44% of the patients who were given 18 months of weekly psychoanalytic psychotherapy no longer have major depressive disorder when followed up two years after therapy had ended;"
"Longer-term psychoanalytic psychotherapy involves the shared commitment of patient and therapist to understanding emotionally painful parts of a depressed person’s life. This may activate a beneficial process of psychological growth with a lasting gain in resilience." "The Trust is proud of this well-designed random allocation controlled trial which adds considerably to the field of evidence for longer-term treatments in the field mental health." "The traumatism had disappeared at that session; it was still there, active; even after 30 years of analysis, it hadn’t been settled. When there is a traumatism, the conscience disassociates from itself, meaning that it is cut in two. This is a bit figurative, but it is as if another person takes control. It is a survival mechanism during which the conscious brain is partially disconnected. After the traumatism, the brain no longer wants to come back to what was unpleasant and within a time interval quite long, it does not have to capacity to come back to it. However, the traumatism had been recorded in a part of the brain and functions in feedback, permanently, like a crazy piece of a software. It is this that causes the nightmares, the flash backs, the psychosomatic illnesses, the depression etc. With EMDR (Eye Movement Desensitization and Reprocessing), it is as if we resynchronized the part of the brain where is encysted the trauma with the other parts of the brain. Everything is put in place, nothing is deleted but the recollection is integrated and becomes acceptable. It is this that occurred to me with (…) (Nota: description of an unblocking of a representation linked to a traumatic event). At that second, I felt that I was flooded by a profound tranquility and I knew that it was over. Since 2005, I left little by little all my psychoanalytic activities to devote myself to EMDR and to the relief of those who suffer." Jean Sandretto, psychiatre et psychanalyste explique un mécanisme du fonctionnement de l'esprit humain, de l'âme humaine: les événements traumatiques semblent être enregistrés en dissociation du reste du cerveau. Ils restent cachés et provoquent des troubles psychiques et psychosomatiques. Il propose une technique spécifique comme thérapie de cette condition. "Le traumatisme a réellement disparu lors de cette séance; il était encore là, actif; malgré 30 ans d'analyse, il n'avait jamais été réglé. Quand il y a un traumatisme, la conscience se dissocie, c'est-à-dire qu'elle se coupe en deux. C'est un peu schématique mais c'est comme si quelqu'un d'autre prenait les commandes. C'est un mécanisme de survie durant lequel le cerveau conscient est partiellement déconnecté. Après le traumatisme, le cerveau n'a pas envie de revenir sur ce qui était désagréable, et, au bout d'un temps assez long, il n'est plus en capacité de revenir dessus. Cependant, le traumatisme, lui, a bien été enregistré dans une partie du cerveau et fonctionne en boucle, en permanence, comme une espèce de logiciel fou. C'est ce qui provoque les cauchemars, les flash-back, les maladies somatopsychiques, la dépression etc. Avec l'EMDR, c'est comme si on resynchronisait la partie du cerveau où est enkysté le trauma avec les autres parties du cerveau. Tout se remet en place, rien n'est effacé mais le souvenir est intégré et devient acceptable. C'était ce qui m'est arrivé avec (...) (Nota: description de déblocage d'une représentation liée à un événement traumatique). A cette seconde, j'ai senti que j'étais envahi d'une profonde quiétude et j'ai su que c'était vraiment fini. Depuis, 2005, j'ai petit à petit délaissé mes activités de psychanalyste pour ne plus me consacrer qu' à l'EMDR et au soulagement de ceux qui souffrent. EMDR therapy consists of eight phases and each phase has its precise intentions. 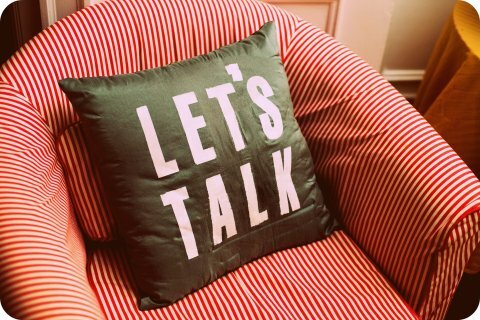 The therapist conducts an initial evaluation of the client’s history and develops a general plan for treatment. This includes the problems which are the primary complaint of the client and a history of distressing memories which will become the targets for reprocessing. The therapist helps the client develop ways to cope with distressing emotions so that they are able to calm down and help themselves in between therapy sessions. Commonly this is done with guided imagery or other relaxation techniques. The therapist asks the client to visualize an image that represents the disturbing event. Along with it, the client describes a thought or negative cognition (NC) associated with the image. The client is asked to develop a positive cognition (PC) to be associated with the same image that is desired in place of the negative one. The client is asked how strongly he or she believes the PCs to be true using a 1-7 scale (completely false to completely true) called the Validity of Cognition (VOC) scale. The client is also asked to identify what emotions he or she feels. The client is then asked to rate his or her level of distress on a scale from 0-10, with 0 being no distress and 10 being the most distress they can imagine. This is the same as a Subjective Units of Distress scale (SUD) that is commonly used in cognitive behavioral therapy (CBT). Finally the client is asked to identify where in the body he or she is sensing the feelings. During the reprocessing phases of EMDR therapy, the client focuses on the disturbing memory in multiple brief sets of about 15–30 seconds. Simultaneously, the client focuses on the dual attention stimulus, which consists of focusing on the trauma while the clinician initiates lateral eye movement or another stimulus such as a pulsing light held in each hand, or tapping on the knees. Following each set, the client is asked what associative information was elicited during the procedure. This new material usually becomes the focus of the next set or another aspect of the memory may be guided by the clinician. This process of personal association is repeated many times during the session. This process continues until the client no longer feels as distressed when thinking of the target memory. The therapist asks the client to focus on the event along with the PC developed in phase III. The client is asked to hold in mind the memory with the positive thought as the therapist continues with the bilateral stimulation. When the client feels he or she is certain the PC is fully believed and that belief is as strong as possible, the installation phase is complete. At this phase the goal of the therapist is to identify any uncomfortable sensations that could be lingering in the body when thinking about the target memory and the PC. While thinking about the event and the positive belief the client is asked to scan over his or her body entirely, searching for tension, tightness or other unusual physical sensation. Any negative sensations are targeted and then diminished, using the same bilateral stimulation technique from phases IV and V. The PCs should be incorporated emotionally as well as intellectually. Phase VI is complete when the client is able to think and speak about the event along with the PC without feeling any physical or emotional discomfort. Not all traumatic events will be resolved completely within one session. If the client is significantly distressed the therapist will guide the client through relaxation techniques that are designed to bring about emotional stability and tranquility. The client will also be asked to use these same techniques for experiences that might arise between sessions such as strong emotions, unwanted imagery, and negative thoughts. The client may be encouraged to keep a brief log of these experiences, allowing for easy recall and processing during the next session. With every new session, the therapist will reevaluate the work done in the prior session. The therapist will also assess how well the client managed on his or her own in between visits. At this point, the therapist will decide whether it is best to continue working on previous targets or continue to newer ones. 1. Diagnostic et planification : la première phase de la thérapie consiste à s'assurer que l'EMDR est un traitement adapté au patient. Un aspect de cette évaluation concerne la capacité de la personne à faire face aux souvenirs de l'événement traumatisant qui seront ravivés pendant la thérapie. Le thérapeute prépare alors avec le patient un plan de traitement. 2. Préparation et relaxation : le thérapeute doit ensuite préparer son patient à l'EMDR en lui expliquant le déroulement de la thérapie. Il s'assure que le patient maîtrise quelques techniques de relaxation et est capable de contrôler les émotions succédant à une expérience désagréable. c. une idée susceptible d'élever l'estime de soi (« cognition positive »). Le patient évalue alors la validité de l'idée positive sur une échelle numérique. Il associe également l'image anxiogène et l'idée négative et évalue l'ampleur de sa détresse sur une échelle numérique (de 0 - tout va bien à 10 - détresse intense). Cette détresse émotionnelle se traduit par un malaise physique qu'il est invité à localiser sur son corps. 4. Désensibilisation : le patient se fixe sur l'image traumatisante, l'idée négative et le ressenti corporel. Le thérapeute lui demande de suivre en même temps avec les yeux ses doigts ou un point lumineux qu'il déplace dans l'espace alternativement d'un côté à un autre. D'autres stimuli (bruits successifs à gauche et à droite, claquement des doigts, stimulation tactile, etc.) peuvent être également utilisés lors de cette phase. Le patient est encouragé à suivre les associations mentales qui se font naturellement pendant cet exercice et ce sont ces associations progressives qui sont censées être au cœur du traitement, par exemple en ramenant à la conscience des événements oubliés. Cette phase du traitement continue jusqu'à ce que le patient évalue sa détresse à 0 ou à 1 sur l'échelle introduite lors de la phase précédente. 5. Ancrage : la phase suivante vise à associer l'idée positive à ce qu'il reste du souvenir de l'événement traumatisant. Quand l'évaluation de la détresse atteint 1 ou 0, le thérapeute demande au patient de penser à l'objectif fixé en début de séance. Les mouvements oculaires continuent jusqu'à ce que le patient évalue la validité de la cognition positive à 6 ou à 7 sur la première échelle utilisée durant la phase 3. Les étapes 3 à 5 recommencent à chaque séance pour une nouvelle image traumatisante. 6. Bilan corporel (body-scan) : le patient garde à l'esprit l'événement traumatisant et l'idée positive à laquelle il a été associé durant la phase précédente et passe en revue systématiquement ses sensations corporelles. Le but de cette phase est de repérer des « tensions » ou des « sensations négatives » qui subsisteraient et d'aider à les dissiper toujours à l'aide de séries de mouvements oculaires. 7. Conclusion : à la fin d'une séance, le thérapeute doit faire en sorte que son patient se trouve dans un état émotionnel stable, que le traitement soit terminé ou non. Il prépare également son patient à réagir correctement (relaxation, etc. ), au cas où le souvenir de l'expérience traumatisante surgirait entre les séances. 8. Réévaluation : au début de la séance suivante le thérapeute demande au patient de repenser au but fixé lors de la séance précédente. En fonction des réactions du patient, il évalue l'effet de la thérapie et adapte son déroulement en conséquence. Vers la fin de la thérapie, le patient est invité à tenir un journal concernant les souvenirs travaillés pendant les séances et les associations qui lui viennent à l'esprit en dehors des séances. What provides more powerful and long-lasting happiness? Which frame of mind does one prefer to feel happy? Enthusiastically-excited or calm and serene ? 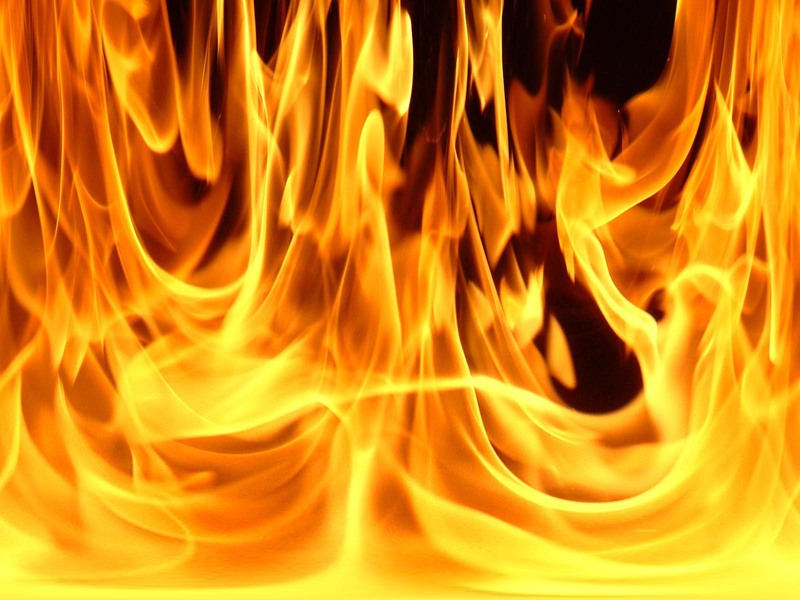 A distinction cited in this article in relation to energy management. Extrait: "En vieillissant, nous devenons généralement de plus en plus heureux, en dépit de pépins physiques plus fréquents. L'explication tiendrait à un phénomène psychologique appelé « effet de positivité ». Les chercheurs en analysent les mécanismes." On Happiness: In search of the "we love you because...it is you", in search of the "well-done", the "praise"
Mary Cover Jones, en 1924, expérimente la première thérapie comportementale : elle expose peu à peu des enfants à l'objet de leur peur, tout en les récompensant de cetteexposition, ainsi qu'en leur montrant d'autres enfants qui eux n'ont pas peur. Cette première thérapie comportementale est présentée comme une expérience scientifique. Richard L. Solomon en 1953 formalise l'idée même d'exposition, prouvant avec des chiens que si l'exposition est suffisamment longue la phobie disparaît. En 1952, dans ses recherches sur l'anxiété, Joseph Wolpe propose un traitement dit de "désensibilisation systématique" basé sur le principe d'inhibition réciproque qui consiste à produire un état psychologique incompatible avec l'état anxieux pendant l'exposition à l'objet phobique. Il s'inspira des premières expériences qui consistaient par exemple à donner de la nourriture à des chats rendus anxieux par conditionnement préalable. Toujours en 1953, Burrhus F. Skinner place le conditionnement opérant au centre de ses travaux, montrant comment les individus acquièrent leur comportement, en sélectionnant ceux qui seront positifs pour eux. Il tente de l'appliquer à une meilleure compréhension de l'éducation. La thérapie rationnelle qu'Albert Ellis élabore à partir de 1953 et qu'il baptisera par la suite de « thérapie rationnelle-émotive » se revendique ainsi de la philosophie stoïcienne. Elle repose en partie sur l'idée que les perturbations psychiques sont le reflet d'un dysfonctionnement dans la manière de penser ou d'appréhender le monde sur la base de croyances erronées. La thérapie se focalise donc sur le présent, en cherchant par le biais d'exercices mentaux et d'un travail de rationalisation, à modifier les modes de pensée, les réactions émotionnelles et les comportements plutôt que de revenir sur le passé pour comprendre l'origine du trouble. La théorie rationnelle-émotive est considérée comme la première forme de thérapie résolument cognitivo-comportementale. Autre déçu de la psychanalyse et influencé par Albert Ellis, le psychiatre Aaron Beckdéveloppe sa propre approche thérapeutique, d'abord autour de la dépression, au début des années 1960, puis s'intéressant aussi aux troubles anxieux. Il propose le terme dethérapie cognitive en référence au concept de cognition qui désigne les processus mentaux par lequel les individus traitent l'information dans leur vie de tous les jours. Cette thérapie cognitive se démarque donc franchement des méthodes comportementalistes en se focalisant quasi exclusivement sur les processus mentaux, et en particulier ce que Beck dénommera sous le nom de schémas. Ce sont en effet ces schémas mentaux (pensées automatiques, monologues internes) sur lesquels le thérapeute cherche à agir avec le patient. Plusieurs auteurs montrent la filiation entre les idées des philosophes stoïciens et les postulats de l'approche cognitive,. En effet, Épictète enseigne, dans son Manuel, que « ce qui trouble les hommes, ce ne sont pas les choses, mais les représentations qu’ils en fabriquent. » Cet adage est fondateur de l’approche psychologique cognitive de la relation d’aide : thérapie cognitive, coaching cognitif, etc. (cf.stoïcisme, la psychologie stoïcienne). Exemple : "Il ne m’a pas téléphoné. Il ne m’aime pas. Je ne suis pas aimable." Jusque dans les années 1980, la thérapie rationnelle-émotive d'Ellis et surtout la thérapie cognitive de Beck gagnent en popularité dans la psychologie clinique et deviennent des cadres théoriques fondamentaux en recherche clinique. Néanmoins, les techniques comportementales, auxquelles elles se trouvent souvent confrontées dans les essais cliniques, vont au fur et à mesure fusionner avec ces approches essentiellement cognitives et donner naissance aux psychothérapies cognitivo-comportementales, visant par exemple le trouble panique. Les TCC sont les psychothérapies qui se prêtent le plus à l'évaluation de la médecine basée sur les faits. Ce sont elles qui ont montré le plus d'efficacité dans ce cadre. Ce sont les thérapies qui sont recommandées en première intention dans de nombreux troubles psychiatriques. De plus, elles offrent un cadre théorique qui entretient des liens, plus ou moins directs, avec les concepts de la psychologie scientifique et plus récemment desneurosciences cognitives. "Cognitive Behavioural Therapy For Dummies, Wiley"
Corrigeant les schémas mentaux perturbants: faire des exercices mentaux sur papier tous les jours ! On pourrait dire que l' action de noter sert à assimiler cette procédure pour qu’elle devienne un réflexe mental. De la même façon qu’on parle en physiologie d’un « réflexe » comme une réaction motrice automatique, une activité/réponse musculaire automatique, on parle aussi en psychologie des réflexes, comme le réflexe conditionné (par exemple, réflexe de Pavlov). On peut entraîner notre esprit pour obtenir des bons réflexes de la même façon qu’on entraîne notre corps. Avec la répétition, le travail dit « manuel » d’identification des pensées perturbantes va devenir automatique. Il faut avoir les bons réflexes d’esprit pour faire face aux situations de tous les jours qui nous causent de l’anxiété ou de la peine! Marie se sent déprimée ; elle n’a pas envie de sortir avec ses amis ou participer à ses activités de loisir habituels. En plus, elle pense que si elle essaie de sortir ou de s’engager à des activités de loisir, elle ne s’amusera pas. Par conséquent, elle ne fait pas l’effort d’essayer. « Même si je sors avec mes amis ou je participe à des activités de loisir, je ne m’amuserai pas. Elle attribue une note de 80% à cette conviction. Marie fait une planification de sa semaine: elle organise deux rendez-vous avec ses amis et deux sessions du vélo (une activité qu’elle aimait) pour 30 minutes. Elle assigne des notes chaque journée à son humeur et à son appréciation de ses activités. Marie constate qu’elle s’amuse un peu en sortant avec ses amis mais pas autant qu’au passé. En faisant du vélo elle se sent plus fatiguée qu’autrefois, mais elle éprouve le sentiment qu’ « elle a fait quelque chose ». Elle évalue de nouveau sa conviction originale avec 40% et décide de faire plus des expériences pour voir comment son humeur et son niveau d’énergie vont s’améliorer. Cette épreuve a aidé Marie à comprendre qu’elle s’est sentie mieux parce qu’elle a faitquelque chose, même si la socialisation ou le sport ne l’ont pas plus autant qu’au passé, quand elle n’était pas déprimée. En notant ces résultats, elle peut se persuader de maintenir son engagement à un programme d’activité qui peut l’aider éventuellement à dépasser sa dépression. Elle s’est réjouie de son effort de faire quelque chose ! 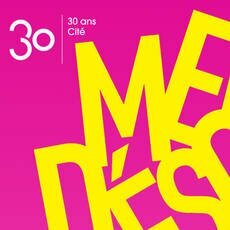 Des institutions culturelles s'engagent pour sensibiliser le grand public aux maladies psychiques - 10/11 octobre 2014 Paris. a. 1 sur 5 a eu, a ou aura une maladie psychiatrique. b. La psychiatrie est la spécialité médicale qui reçoit le plus faible budget de recherche mais qui, selon une étude, serait le plus rentable inverstissement. 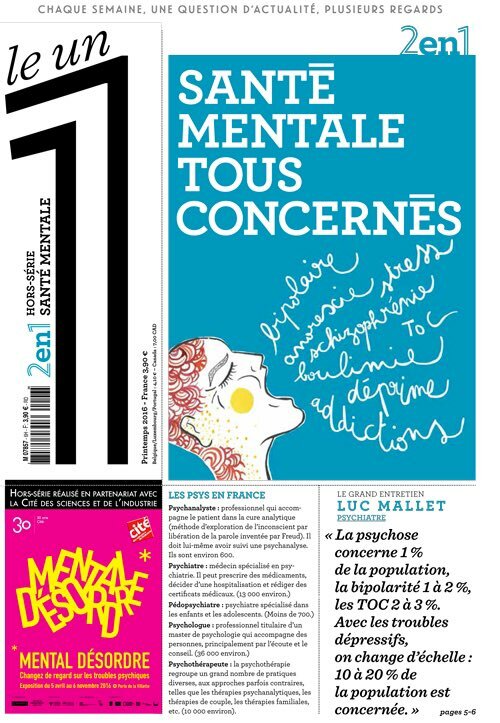 "La Fondation FondaMental est une fondation de coopération scientifique dédiée aux maladies mentales"
Revue "Science & santé : le magazine de l'Institut national de la santé et de la recherche médicale", n° 10 ( sept.- oct. 2012, pp. 20 - 33). "Troubles bipolaires, schizophrénie, dépression, anorexie mentale… Bien qu’elles touchent une personne sur cinq à travers le monde, qu’elles sont la première cause d’invalidité et le deuxième motif d’arrêt de travail en France, les maladies mentales, fréquentes, douloureuses, souvent chroniques, sont les mal-aimées de la recherche biomédicale. Alors que l’Organisation mondiale de la santé (OMS) s’apprête à leur consacrer octobre prochain(note: se réfère au 10 octobre 2011), une Journée mondiale avec pour thème « Investir dans la santé mentale », c’est l’occasion de faire le point sur les avancées de la recherche. Comment différencier les troubles mentaux ? Comment les diagnostiquer ? Et comment les soigner et améliorer la qualité de vie des patients et de leur entourage ?" "Join Golden Globe winner and renowned actor, producer, author and musician Johnny Depp and Origins Project director Lawrence Krauss for An Origins Project Dialogue, Finding the Creativity in Madness. This dialogue is associated with a closed scientific workshop in partnership with the National Institutes of Health that will be held to spark discussions of big, unanswered questions on how the brain and machines process patterns, aimed at understanding consciousness, intelligence, and madness." La notion de conscience collective se rapporte aux croyances et comportements partagés dans une collectivité et fonctionnant comme une force séparée et généralement dominante par rapport à la conscience individuelle. Selon cette théorie, une société, une nation, un groupe constituerait une entité se comportant comme un individu global. L’expression a été d’abord utilisée par le sociologue Émile Durkheim (1858-1917) dans plusieurs de ses ouvrages. La notion a été reprise par d’autres sociologues et psychologues par la suite, comme Maurice Halbwachs en 1939. Le médecin, anthropologue, psychologue social, sociologue, Gustave Le Bon dit que lorsque les individus se rassemblent, il « se forme une âme collective, transitoire sans doute, mais présentant des caractères très nets». L’expression est également utilisée dans les groupes de travail pour désigner la conscience que le membre du groupe a de sa relation aux autres membres d’une « équipe projet ». La conscience collective, dans certaines théories spirituelles, désigne la somme des vertus et des vices d’une population formant un tout homogène, une sorte de moyenne qui détermine le « niveau de conscience spirituelle » de l’ensemble. « C’est comme si, outre l’âme singulière, on voulait prendre en compte une âme collective remplissant l’intervalle entre les individus, englobant tous les individus (…) . Pensée dans ses ultimes conséquences – du fait qu’une âme sans corps est empiriquement impossible –, cette représentation conduit nécessairement à imaginer à son tour un corps collectif tout aussi différent des corps individuels, dans lesquels on place l’âme collective. Une entité consiste des sous-entités, des hypo-entités qui existent ("istase"-"ἱστᾶσι") à un niveau structural au dessous de l'entité; de la même façon que les cellules sont au dessous du tissue et de l'organe. L'individu, étant une cellule, contribue au fonctionnement du tissue, et l'objectif serait qu'il puisse apprécier le tissue social fonctionnant comme une puissante machine, grâce à sa contribution liée aux contributions des autres. Se sentir que son talent et son potentiel intellectuel inspire, complète, accompagne le talent et le potentiel de l'autre, comme une phrase qui est commencée par l’un et qui est continuée par l’autre; se sentir de créer quelque chose ou chacun peut reconnaître sa contribution individuelle et le dialogue de cette contribution avec celles des autres. Etre fier du résultat et le considérer comme un patrimoine commun. Pourrait-on associer ces expériences à une expérience d'accomplissement personnel, donnant entière satisfaction? Peut-être y attribuer un caractère mystique ou archetypale et donc mythique? Il nous faudrait un ensemble des principes, des valeurs ou un système idéologique, aussi que des bonnes pratiques pour les mettre en place. Où trouver ces principes et ces pratiques? Une des intervenants, Christine Guinebretière, a proposé une réponse à cette question pour le domaine de l' entreprenariat. "Experte en économie circulaire (Cradle to Cradle), en intelligence collective et en systèmes alternatifs de gouvernance, elle s’appuie sur ses 20 années de management au sein de grands groupes et son expérience de technologies et philosophies d’avant garde pour aider les managers à se transformer et leurs organisations à évoluer." A son discours elle a mentionné qu'elle a assisté à une présentation de Andrew Cohen qui a eu un énorme impacte sur elle. Ayant eu une expérience presque mystique de cette présentation, elle a décidé de trouver les méthodes, les pratiques, tous les outils qui existent sur la planète comme elle a dit, pour passer de la théorie à la pratique; et ceci spécifiquement pour le monde de l'entreprise. Les résultats de sa recherche ont été formulés en services qui sont rendus aux entreprises par son agence, qui "propose des solutions avant-gardistes au niveau gouvernance, innovation et écologie aux entreprises". L'agence "propose un changement de paradigme qui s’appuie sur la convergence des approches économiques, technologiques et spirituelles, et s’opère grâce à une véritable évolution des consciences individuelles et collectives des acteurs de l’entreprise." 2. Permettre à chacun de s’épanouir davantage dans un cadre prolifique, créatif et libre de conflits." "Notre approche s’appuie sur les travaux du philosophe américain Ken Wilber dont nous adaptons le modèle au monde de l’entreprise. Surnommé l’Einstein de la Conscience..."
"Il s’inscrit dans la théorie des systèmes complexes qui dit, notamment, qu’un tout peut avoir des propriétés supérieures à la somme de ses parties (un peu comme le fait d’additionner des molécules de matière inerte donne naissance à une cellule vivante, ou qu’une somme de cellules vivantes donne naissance à l’intelligence et à la conscience autoréflexive)." "Cinq cents personnes seulement sont à l’origine de la Renaissance." "On’a donc pas besoin de rallier une majorité de personnes mais plutôt de mobiliser cette minorité qui porte déjà les germes de nouvelles valeurs et d’une nouvelle culture. Et vous en faites peut-être déjà partie…"
Collective conscience is the set of shared beliefs, ideas and moral attitudes which operate as a unifying force within society. The term was introduced by the French sociologistÉmile Durkheim in his Division of Labour in Society in 1893. The M.D., social psychologist, sociologist, anthropologist Gustave Le Bon says that when individuals are forming a group, “a collective soul is forming, transitional no doubt, but presenting precise features”. “It is as if, we would like to consider, in addition to the individual soul, a collective soul filling the intervals between individuals, encompassing all individuals (…). Thought in its ultimate consequences – since a soul without a body is empirically impossible – this representation leads necessarily to imagine a collective entity, distinct from the individual entities, in which we place the collective soul. It is through this that social psychology is led to the "hypostasis" which characterises the so called “organic” society, a hypostasis that is confined in the mythological aspect”. (Cites the hypostasis of inter-individual relationships). The notion of “collective conscience” is also used in work groups to define the conscience that a member of a group has from its relationship with the other members of a “team project” . The collective conscience, in some spiritual theories, defines the sum of virtues and vices of a population that forms a homogenous whole, a sort of average that determines the “level of the spiritual conscience” of the group. An entity consists of sub-entities, of hypo-entities that exist ("istasi"-"ἱστᾶσι") in a structural level that is found hierarchically “under” (Latin “sub” and greek “hypo”) the entity; in the same way that cells are hierarchically “under” the tissue or the organ. The individual, as a cell, contributes to tissue functioning, and it would be ideal if he/she could appreciate the social tissue functioning as a powerful machine, due to his/her contribution linked to the contribution of others; to feel that his/her talent and his/her intellectual potential can inspire, complete, accompany the talent and the potential of the other, like a sentence that is initiated by one and is continued by the other. Also, to feel that he/she creates something where everyone can recognize his/her individual contribution and the interaction or dialogue of its contribution with those of the others. To be proud of the result and consider it as common heritage. Is it possible to associate these experiences to an experience of personal fulfillment and personal satisfaction? Is it possible to attribute to this a mystical aspect or archetypical and therefore a mythical one? We would need a set of principles, a set of values or an ideological system, as well as good practices to make this happen. Where can we find these principles and practices? which was broadcasted by webradio. One of the speakers, Christine Guinebretière, provided an answer to this question in regard to the business domain. “Expert in circular economy (Cradle to Cradle), in collective intelligence and alternative governance systems, she has 20 years of business management in big groups and experience in technologies and avant-garde philosophies to help managers to transform themselves, as well as organizations to evolve. In her talk she mentioned that she had attended a presentation by Andrew Cohen which had an enormous impact on her. She said that she had a literally mystical experience and that after this, she decided to find the methods, the practices, all tools that exist on the planet as she said, to transform this theory in practice; and this specifically in the business world. 2. Allow everyone to fulfil himself in a prolific, creative and conflict-free environment. “It is part of the complex system theory which says that a whole can have properties that are superior from the sum of its parts (it is like the fact that adding up matter molecules gives birth to a living cell, or like the fact that a sum of living cells gives birth to intelligence and to autoreflexive conscience”. Une des intervenants du la 3ème édition du Forum International de l'Evolution de la Conscience http://www.evolutionconscience.com/ parle d'une pratique de création de conscience collective. "Elisabet Sahtouris est une biologiste américano-grecque de l’évolution, futuriste, auteur, consultante et conférencière. Elle est Membre de l’Académie mondiale des affaires et du World Wisdom Council et a enseigné au MIT et à l’Université du Massachusetts. Elle est l’auteur de EarthDance: Living Systems in Evolution, A Walk Through Time: from Stardust to Us et Biology Revisioned. Le professeur Sahtouris décrit un univers vivant intégrant physique, biologie et spiritualité. Elle voit des solutions à nos crises économiques et sociales dans l’évolution des écosystèmes de la Terre et travaille avec passion pour la santé et le bien-être de la famille humaine." "Je vais vous suggérer un exercice et que peut-être certains d'entre-vous pourraient justement créer la conscience collective. Combien d'entre-vous ont des enfants à l'école ? Beaucoup d'entre-vous. Bien. Essayez lorsque l'école invite les parents pour venir voir un jeu ou une épreuve sportive où il y a deux équipes et avec un système de points... Essayer de voir si vous pouvez contacter l'école et dire aux enfants, aux professeurs, de faire exactement comme ils ont fait d'habitude mais pendant que les équipes se préparent, avant qu'il sortent dans le stade, quelqu'un va instruire en fait tout le public que ce soir ils vont applaudir différemment. Ils vont applaudir chaque point qui a été gagné par les deux équipes. Parce que les deux équipes sont en concurrence, mais finalement pour l'excellence, pas contre elles, pas l'un contre l'autre. Et donc vous applaudissez cette excellence. Personne ne va rentrer à la maison en pleurant côté enfant et les parents vont faire l’expérience de vraiment entrer dans un mode coopératif. Et j'aimerais bien qu'il y ait une façon de mesurer ça mais je suis sûre que vous trouveriez qu'un événement de conscience collective s'est passé. Quoi que ce soit que vous puissiez imaginer pour que les gens fassent l’expérience des avantages de la coopération... le brainstorm.... Avec vos amis peut-être vous pouvez réfléchir à d'autres façons de donner aux gens une expérience coopérative, quelque chose qui'il n'attendent pas. Peut-être que vous pouvez aller sur un site internet qui s'appelle coinintelligence network. Il y a beaucoup d'exemples, des jeux comme cela." One of the speakers of the 3rd International Forum of Conscience Evolutionhttp://www.evolutionconscience.com/ talks about a practice of collective conscience creation. "Elisabet Sahtouris is an american-greek bioogist of evolution, futurist, author, consultant and conference speaker. She is a Fellow of the World Business Academy and a member of the World Wisdom Council. She has taught at the MIT and the University of Massachusetts. She is the author of EarthDance : Living Systems in Evolution, A Walk through time : from Stardust to Us and Biology Revisioned. Professor Sahtouris describes a living univers integrating psysics, biology and spirituality. She sees solutions in our economic and social crises in the evolution of earth ecosystems and works with passion for the health and the well being of the human family." (Note that only the french translation was broadcasted from the conference webradio; an english transcript of this translation is provided below). "I am going to suggest to you an exercise and maybe some of you can create the collective conscience. How many of you have children in school ? A lot of you. Good. Try (the following) when the school invites the parents to see a game or a sporting event where there are two teams and a system of points...Try to contact the school and tell the children, the teachers, to proceed as usual but while the two teams are preparing themselves, before they go out, someone will instruct the public that this evening they are going to applaude differently. They are going to applaude every point won by both teams. Because the two teams are competitors, but after all, competitors for excellence; not one against the other. And therefore you applaude this excellence. And the end of the game the team that maybe had a few more points will invite the team that maybe had a few less points in order to celebrate excellence. Nobody will go home crying and the parents will do the experiment to really enter a cooperative mode. I would really wish that there was a way to mesure that, but I am sure that you will agree that a collective conscience event took place. Whatever you can imagine so that people can experience the advantages of cooperation....a brainstorm... Maybe with your friends you can find other ways to give people a cooperative experience, something that they were not anticipating. Maybe you can visit a site called cointelligence network. There are a lot of examples of this kind there. How do we individually evolve? And, you know, I don't mean to emphasize Andrew Cohen but I really like his way because he really emphasizes the sense of having a deep kind of silent openness, meditation in which creative ideas and feelings can flow, flow out of that. (…) What he calls creative evolutionary impulse, the idea that there is actually a kind of impulse that moves things forward. Article of The Economist on the "Psychology of Teamwork"